If you splurge on five-star hotels, Michelin-star restaurants and extravagant nightlife, you’ll spend a fortune in the Dutch capital. Worse yet, you’ll be surrounded by tourists just like you in upscale establishments brimming with European style but lacking much sense of how locals live, eat and play. Bunk up with locals through Couchsurfing.org. 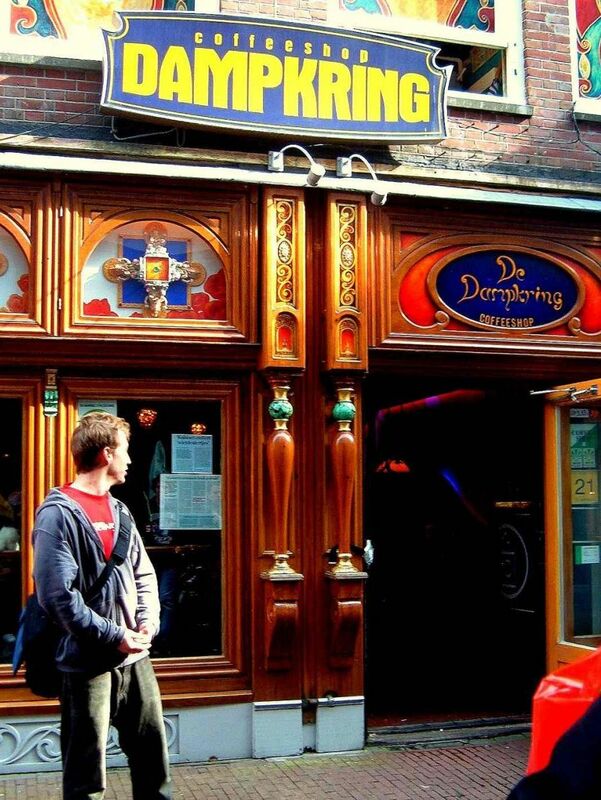 Accommodations: Bunk up with couchsurfing hosts or at one of Amsterdam’s renowned hostels, e.g. Flying Pig, Winston or Meeting Point, all in the center of town. For bare-bones budgets, numerous campgrounds just outside city limits offer excellent facilities. Get 25% off with student ID at Skek. Eating Out: Fill up at student cafés like Skek; local burger joints like Burgermeester and Burger Bar; falafel bars like Maoz, serving vegetarian fare topped with Mediterranean salads; and shoarma/kebab stands all over the city that reflect Amsterdam’s Indonesian ties. Have a Picnic: At street bazaars and supermarkets like our ubiquitous Albert Heijns (there’s a subterranean one by Museumplein), pick up a baguette, sliced salami, a hunk of young cheese (jonge kaas), hagelslag and stroopwafels for dessert. Pack in a few cans of Heineken and head for Vondelpark or any of Amsterdam’s green gems for a picnic. Vondelpark is a fine site for a picnic. Street Food: Munch on a cone of Vlaames Frites (Belgian fries) doused with mayo, saté sauce or other toppings. Go Dutch and try herring topped with onions, pickles and a Dutch flag for spearing the fishy tidbits. Just getting lost in Amsterdam’s canal ring is like roaming around in a free, living museum. 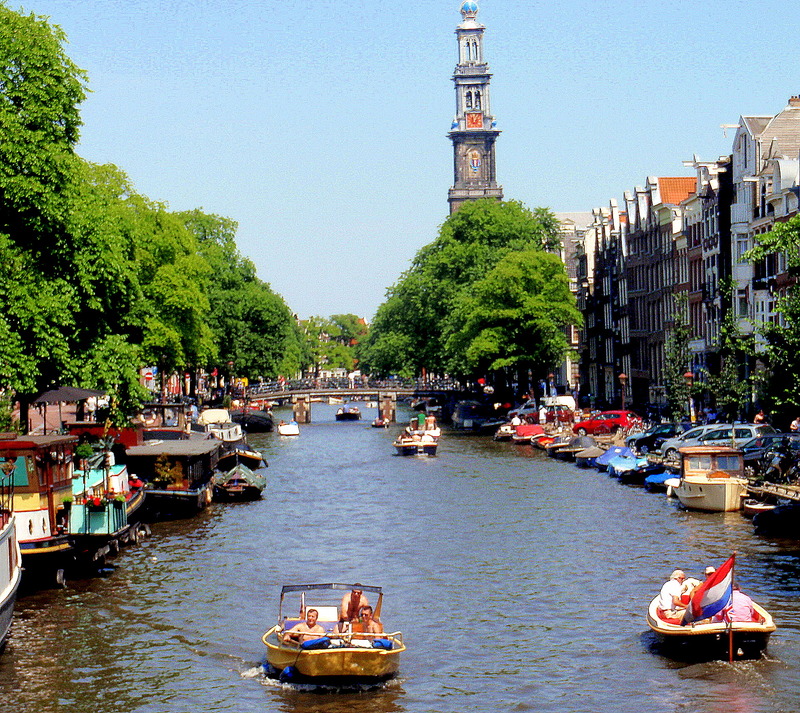 Amsterdam’s Grachtengordel (canal ring) was added to the World Heritage List in 2010. Just getting lost in the 400-year-old waterways, which outnumber those in Venice, is like roaming around in a free, living museum that’s also a UNESCO World Heritage site. Sandeman’s Free Walking Tour: Get your bearings in a sometimes confusing city and gain insight into Amsterdam’s its evolution from a muddy village on the Amstel into Europe’s most powerful trading city on this three-hour, whirlwind adventure. Tour the Red Light District, Jewish Quarter, Jordaan District, widest bridge, narrowest house and other top sights. Daily tours in English and Spanish are given by entertaining guides who work on a tip-only basis. Tours depart at 11:15 and 13:15 from the National Monument on Dam Square. Sandeman’s free walking tours depart daily from Dam Square. Civic Guard Gallery: It costs €11 to enter the Amsterdam Museum on Kalverstraat, a repository of Golden Age art and more contemporary collections. Outside, in the arcade by the museum entrance, view a slew of Golden Age portraits—peers of Rembrandt’s Night Watch—for nada. Nieuwe Kerk (New Church): Built in 1408, this soaring church has been the stage for royal weddings and coronations, including King Willem’s marriage to Maxima and his crowning as Holland’s first king in a century in 2013. Now used for major art exhibitions, it has a gift shop that leads to a free display about the church’s turbulent history. Challenge the locals on Max Euweplein. Chess on Max Euweplein: From 10‒21:30 daily, meter-high chess pieces appear on a giant board on Max Euweplein, a square bordered by touristy shops and cafés including the always buoyant Hard Rock. 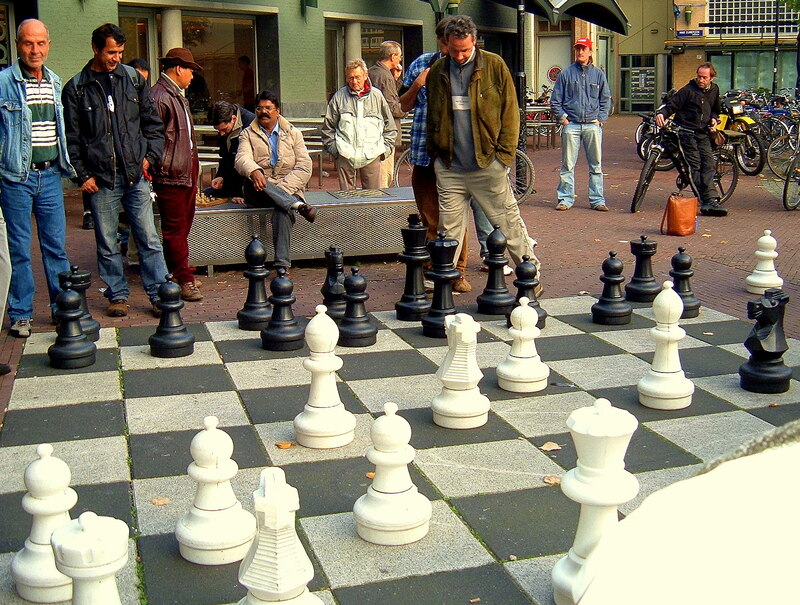 Named for a world champion Dutch chess player of the ’30s, this is where you can challenge the locals in a free game or just watch the action from the sidelines. 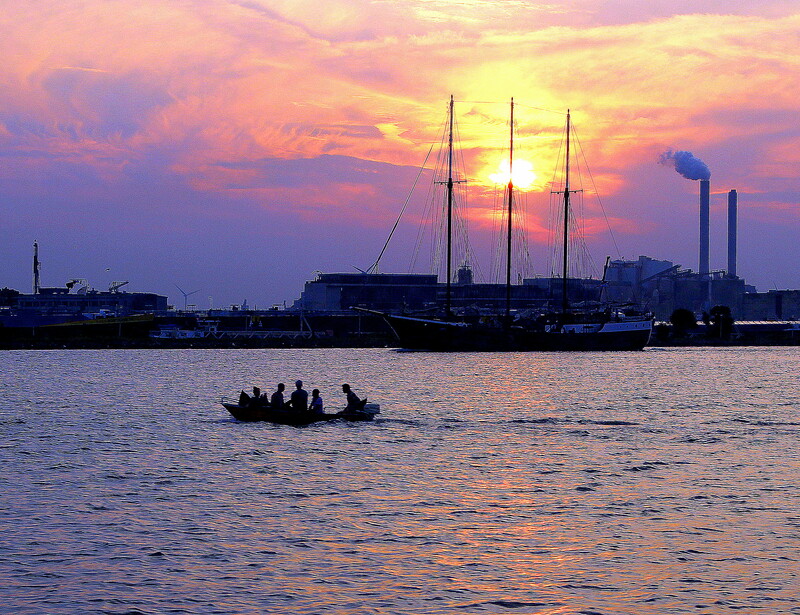 A free ferry chugs to Noord-Amsterdam, an artsy district and cultural hot spot. Ferry to Amsterdam-Noord: Walk through Central Station, turn left and hop on the free ferry to NDSM Wharf in Amsterdam-Noord. On the ride across the Ij to what was once a derelict shipyard, take in the low, village-like skyline. In 15 minutes, you’ll arrive in an artsy community and cultural hot spot peppered with recycled-junk sculptures, a giant tiki head, and numerous funky restaurants and night spots. Throughout the year, festivals, performances, exhibitions and IJ Hallen, Europe’s largest flea market, are held in Amsterdam-Noord. Classical Concerts: On Wednesdays during the cultural season (mid-September–June), Amsterdam’s renowned Concertgebouw presents lunchtime shows—often rehearsals for musicians playing later that evening—from 12:30–13:00. Queue up early if you want a seat. Opera & Ballet at Muziektheater: On Tuesdays from 12:30–13:00, performers from the Dutch Philharmonic and Opera stage free lunchtime gigs in the foyer of their contemporary venue on Waterlooplein. The concerts take place during the cultural season, September–May. Guided tours of the National Opera & Ballet are sometimes offered. Jazz at Bimhuis: Also on Tuesdays, September–June, Bimhuis, core of Amsterdam’s jazz scene, hosts a rollicking jam session at 22:00. Join the festivities or just be entertained at no cost. Friday Night Skate convenes at Vondelpark. Friday Night Skate: Year round, at 21:00 on Fridays, skating enthusiasts gather at Vondelpark to roll through town on a 20km, three-hour adventure. Bring or rent skates or just meet the group afterward fat their final destination—inevitably a pub. Find more of my Amsterdam highlights at Afar.com. COMING SOON: More FREE Things to Do in Amsterdam. Follow Unclogged in Amsterdam to make sure you don’t miss it! Next It’s Tulip Time in Holland! Thank you for these insightful and appealing things to do! I’m looking forward to it all and especially starting at the National Monument on Dam Square for a walking tour! This is such an interesting blog with beautiful pictures! Hope to be able to act on some of your suggestions in may. A few minutes ago I thought I was anxious to get to Amsterdam. After reading all of these posts my excitement is at a whole new level. Who knew there were so many things to do..besides eat space cakes and visit the red light district. Waiting to experience this Dutch, creative, diverse culture is now harder than ever! I love this blog. These insider suggestions are very useful you won’t find in regular guide books so that you can discover real dutch life. Those tips are not only good for tourists, but also for all the expats living in Amsterdam. I love it ! This blog is very useful. there are very organization for people.In my opinion if you join some of them you can feel the city and city life. This is great advice for those traveling on a budget! Thank you! Excellent! That’s all that a backpacking traveller student needs to know! Thank you Melissa! I’d also love to vouch for the Free walking tours. Although you tip what you want at the end of the tour (and it’s only right to give something), your trip is really enhanced by the knowledge of the local guides who often have just as much excitement for the city as their visitors. Thank you for sharing in not just one post, but two!! Melissa thank you for all those useful information, not only in that particular post, but in your blog in general. Every post is professionally written, with great photos and a lot of usefull and practical info, which you will not find in guidebooks! You write about Amsterdam in such a way, that I want to move there for some time (not only visit for few days) to experience this amazing city atmosphere. I think, that all the people travelling to Amsterdam should read your blog first. Great job! Thank you! I would be totally interested in taking a free walking tour. Almost every country I’ve visited so far, I’ve tried one. SO far, only good experiences. I much prefer walking then looking down at the city from a two storey high red Bus, and the interaction with the guides is much more personal since the groups are usually small. They do ask for tips at the end but that’s expected- And if you don’t like it, you can tip accordingly. Although personally, i’ve always been lucky with my guides. Really interesting insight and stories about less-known non-cliché places. Love this post! I’m definitely gonna check out maoz, the street food and go to amsterdam noord! Thank you for such useful information 🙂 reading this blog makes me really excited to get to amsterdam, been wanting to go for so much time!